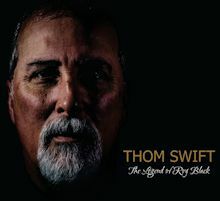 The Harvest Jazz and Blues Festival has announced that Thom Swift will represent Atlantic Canada at the 2013 International Blues Challenge (IBC) in Memphis, Tennessee in January. Each year, the Harvest Festival picks a deserving local musician to compete in what has become the largest blues competition in the world. Presented by The Blues Foundation, the IBC is an annual competition that sees more than 180 blues acts from around the world competing for cash, prizes, and industry recognition. It has become the world’s largest gathering of blues acts.